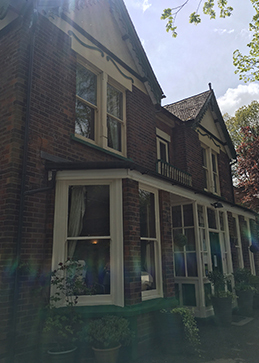 Alder Grange has been operating as a residential care home for in excess of 20 years. It was taken over by Eungella Care Ltd in April 2007. Eungella Care is a limited company formed by Shelley and Chris Grimshaw, Derek Haysom and Stephen Johnson. Two of the directors have substantial experience of health and social care due to the professional roles they undertake in addition to operating Alder Grange and all are fully involved in the day to day running of the business. Alder Grange comprises of a team of experienced staff who work together to deliver the highest standards of care and support in relation to all aspects of the business, operating under the guidance and supervision of the registered manager/care director. Eungella Care Ltd actively promotes ongoing training and development for allstaff, empowering them to undertake their duties and responsibilities effectively, competently and knowledgeably and regular supervision for all staff forms an integral part of this.